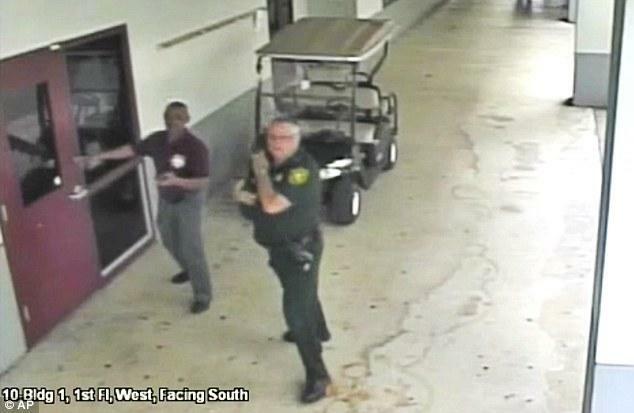 Just released CCTV footage from the February 14 Parkland, FL school shooting shows Broward County Sheriff's deputy Scot Peterson drive up to the high school building as a gunman massacred 17 students and staff members - only to hop off, unholster his gun, and run behind a concrete wall for cover. 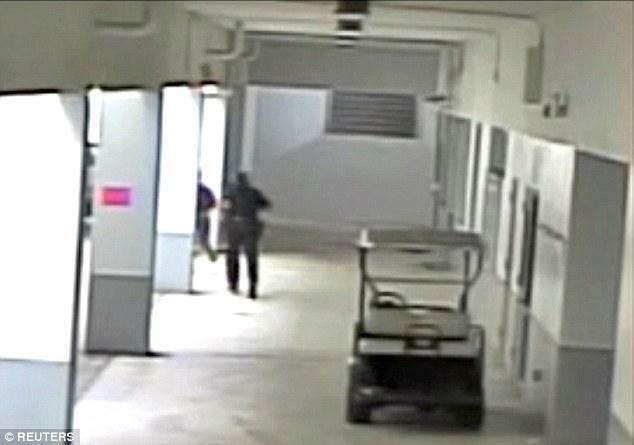 Peterson's ample stomach can be seen poking around the corner as he fails to protect and serve. 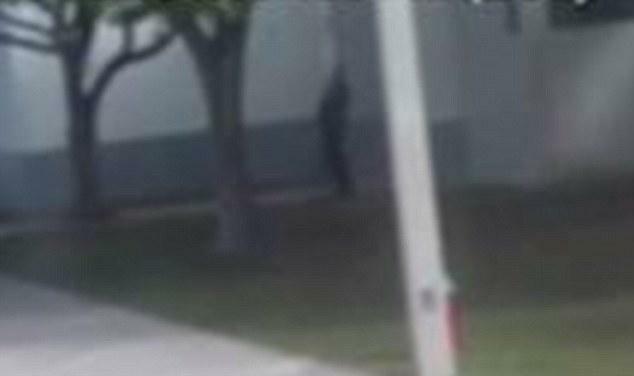 The Broward County Sheriff's Office released the video on Thursday showing the disgraced deputy remaining outside the building during the shooting. “The video speaks for itself. 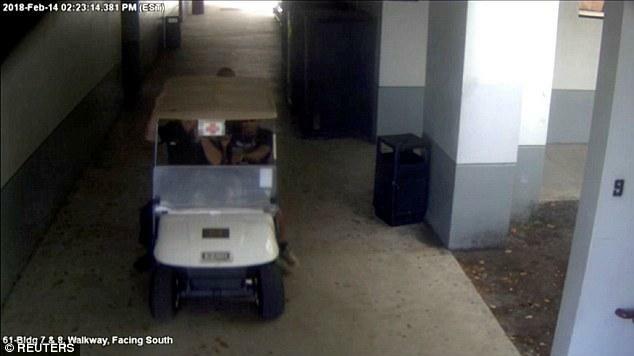 His actions were enough to warrant an internal affairs investigation, as requested by Sheriff Scott Israel on Feb. 21. After being suspended without pay, Peterson chose to resign and immediately retired rather than face possible termination,” the department said in a brief statement with the video’s release. 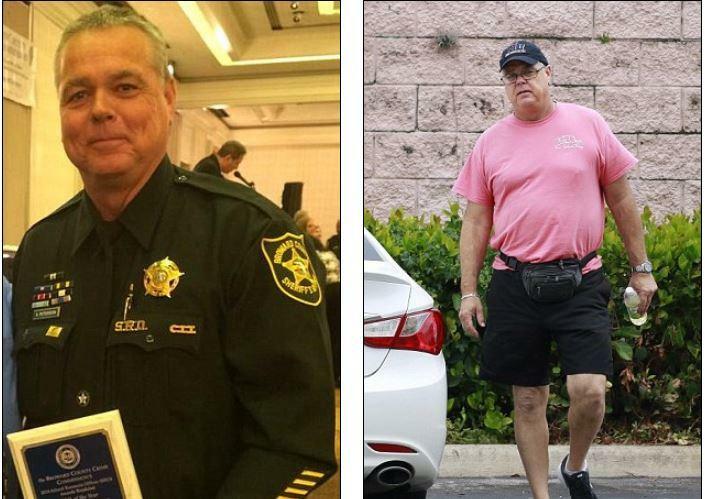 Peterson, 54, dubbed the "Broward coward," was blasted by Sheriff Scott Israel a week after the shooting, telling reporters that Peterson should have "went in, addressed the killer, killed the killer," adding that the deputy's failure to act left him "devastated. Sick to my stomach. There are no words." In response, Petersen issued a statement through his attorney denying any wrongdoing - and said that he thought the shots were being fired from outside the school.